Paralandra Release “All Fall Down” Lyric Video From Upcoming Debut EP (Out March 11th) – Ouch That Hertz! March 7, 2016 – Springfield, Missouri based Hard Rock band Paralandra have released a lyric video for their track “All Fall Down” from their upcoming debut EP of the same name which will be released on March 11th. The “All Fall Down” EP was produced and engineered by John Burke (Vibe Studios) and is available for pre-order now on the band’s website and iTunes. Paralandra, who are managed by Chris Bianchi of CB Entertainment, will be touring and have numerous festival appearances through the year into 2017 with a CD release party scheduled on March 11th at The Regency (presented by Q102). A new music video will also be released later this year. From the beginning, hard rock band, Paralandra, decided to concentrate on creating pure, heartfelt music, no matter how it came out. They have not wavered from this approach, and continue to strive to provide a product that is a sincere and unique expression of themselves, both lyrically and musically. The band started in the summer of 2013 as father and daughter, Casandra Carson (lead vocal and guitar) and Paul Carson (guitar), decided to create a band to perform the songs they had begun writing together. Everything clicked when reunited with Casandra’s former highschool friend, Nick Grey, who also had been writing and wishing to perform in an original rock band. Within less than 2 months, the newly formed band began playing live and recording. Paralandra’s first 12-song CD, Rise Up, was released in June of 2014, and reorders were a necessity to keep up with demand from sales at live performances. They soon began to enjoy more widespread and high profile shows, including opening forFuel, Hinder, Scott Weiland, Wayland, Art of Dying, and more, as well as playing to local crowds as large as 7,500. 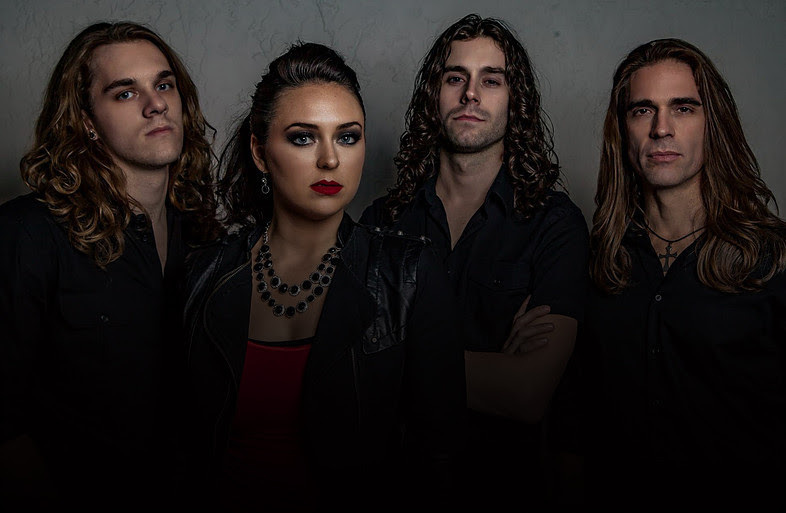 They have also been invited to numerous showcases across the country, including playing in David Ivory’s (multi Grammy winning producer of Halestorm, The Roots, and more) showcase at the Millennium Music Conference in 2015. They have been blessed to receive many appreciated accolades in their still fresh musical journey, such as being nominated “Best Original Band” by the readers of 417 Magazine, “Best Musical Performance” on the late night talk show,The Mystery Hour, “Year’s Best Band Performance” by Ozarks LIVE! on KOZL, a CBS television network, as well as consistently holding a top-10 spot on the Reverbnation Rock Charts. They are now fresh off recording a new 5-song EP with John Burke of Vibe Studios, and look to begin touring nationwide to support their March release. They are currently managed by CB Entertainment and look for 2016 to be their best year yet!